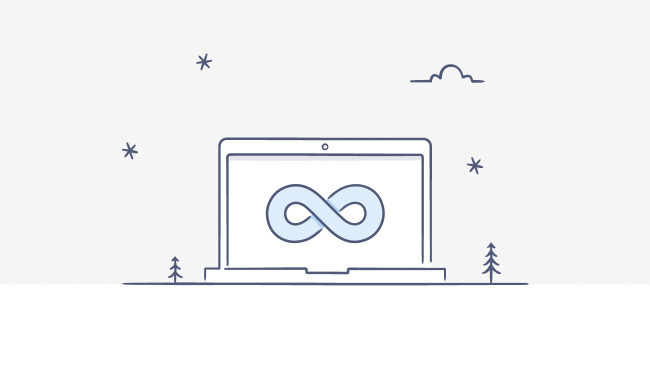 With Infinite in place, files and folders hosted on Dropbox will appear in OS X's Finder or Windows' File Explorer, regardless of whether they've been downloaded, Dropbox said. Files that haven't been synced will appear with a new cloud logo instead of the usual checkmark, but will display information like file sizes and modification dates. To work with a file, people will still need to sync, but the process should happen automatically simply by double-clicking on an item. Infinite is currently only in the hands of a handful of "sponsor" business customers, and indeed the feature so far appears oriented toward organizations rather than individuals. It should eventually expand to more customers however, and Dropbox is planning later announcements along those lines. Dropbox has struggled to keep itself relevant in face of other cloud storage services from Google, Microsoft, Box, and Apple's iCloud Drive. All of those services offer a greater amount of default storage for individuals, and a wider range of plans.